One of the most common things we hear at Trapp Electric is how thrilled our customers are to finally find a reliable electrical contractor. We realize there are a lot of companies out there that do less-than-quality work. We are a different type of electrical contractor; our team has more than 100 years of combined experience on our side to let us provide the best service possible. We know that dealing with any electrical issue or installation is stressful. The solution is easy! Call Trapp Electric at (309) 444-8188 today. 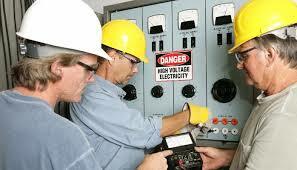 It can be quite sobering how expensive electrical contractors can be. They may quote you one price, but when things are all said and done, the final bill can be double or triple the original estimate. At Trapp Electric, we strive to always be open and upfront with our estimates. Our word is our bond. Give our office a call and talk with one of our knowledgeable electricians. We will come out and assess the work to be completed and provide you with an accurate estimate for the expected total. If you ever have questions about our estimate, let us know. We are more than happy to explain everything in further detail. Do they have residential and commercial experience? Do they have a great local reputation? Are they fast at communicating with you? Depending on the answers to these questions, you may choose to hire one electrical contractor over another. Trapp Electric has more than 14 years of experience in both residential and commercial electric contracting. We are well known in the area for providing unmatched service and are always willing to talk things out with you at length. If you are looking for a quality Electrical Contractor, Contact Trapp Electric today. Call (309) 444-8188 to schedule your appointment today.